MAN 37 YO. 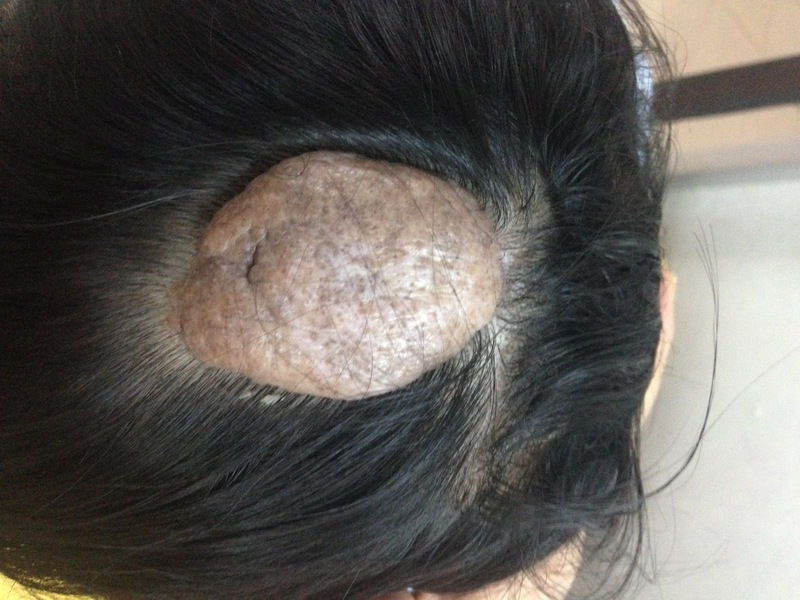 HISTORY: KNOWN THAT SMALL TUMOR AT OCCIPUS AREA.OF SCALP FOR 20 YEARS . BUT THIS YEAR THIS TUMOR IS GETTING BIG SIZE OF10CM, NO PAIN. 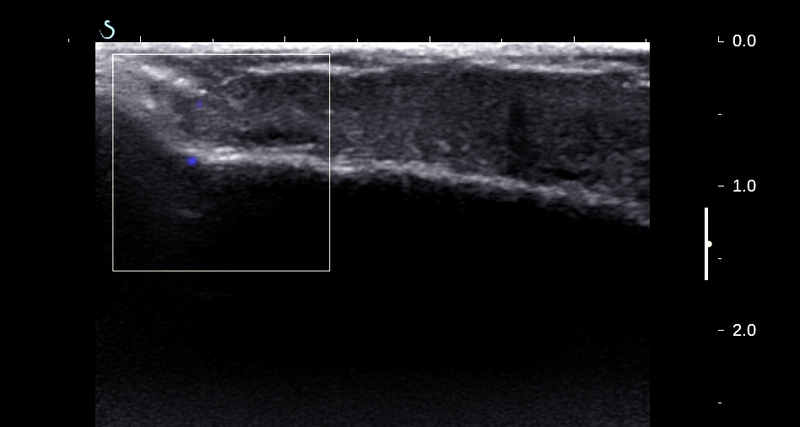 ON CLINICAL EXAMINATION THIS TUMOR IS HARD IN PALPATION ( FOTO). 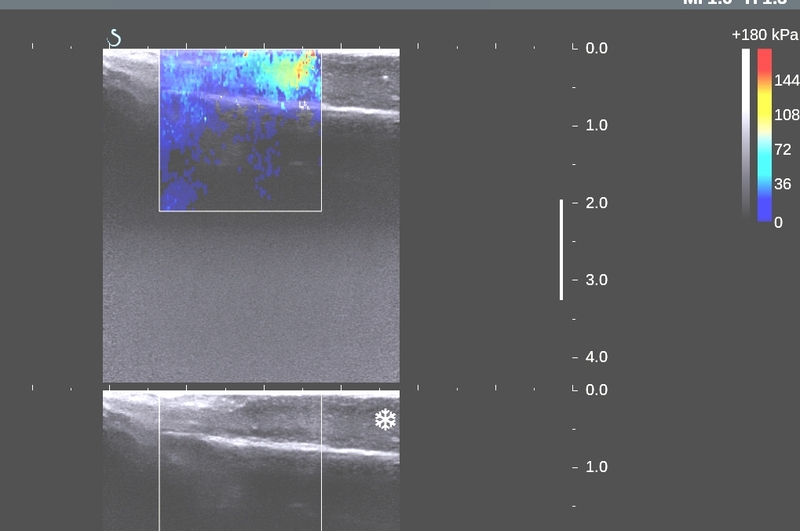 ULTRASOUND OF THIS TUMOR BY LINEAR PROBE 10MHz : THIS TUMOR IS SOLID, THICKENING ABOUT 1- 2 CM, HYPOECHOIC, HYPOVASCULAR. ELASTOSCAN US IS HARD OF 22kPa. NO EROSION IN BONE BELOW ( SEE US 1, US 2, US3, US 4). ONE DERMATOLOGIST SUGGESTED SEBACEOUS NEAVUS. OPERATION REMOVED THIS TUMOR ( SEE MACRO). 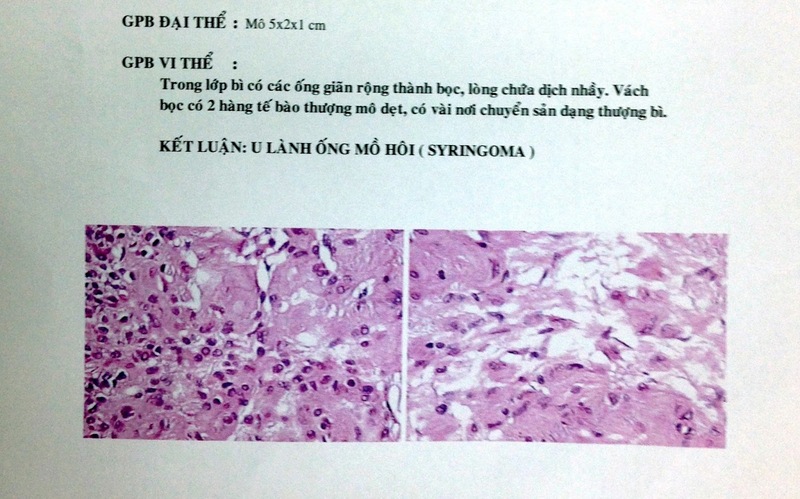 Report of another case ( Dr Le thong Luu) soft tumor of the thigh ( foto). 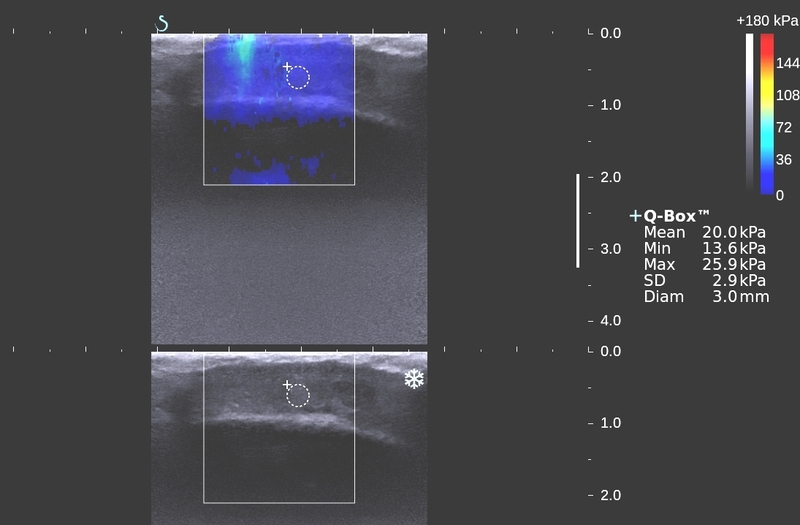 Ultrasound is cystic tumor, but macro and microscopic report post op is syringoma.